You likely already know this (though I am sure it doesn't look great to some). But I love the uniqueness, it is one thing that makes college football (and college sports) so great. 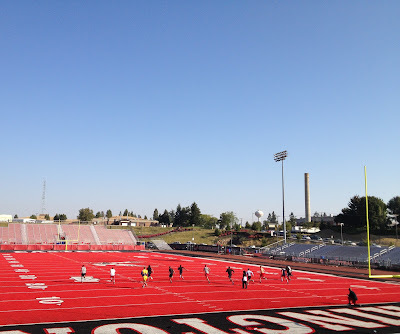 Picture comes from the Eastern Washington basketball blog, as this is the team doing sprints on the football field.